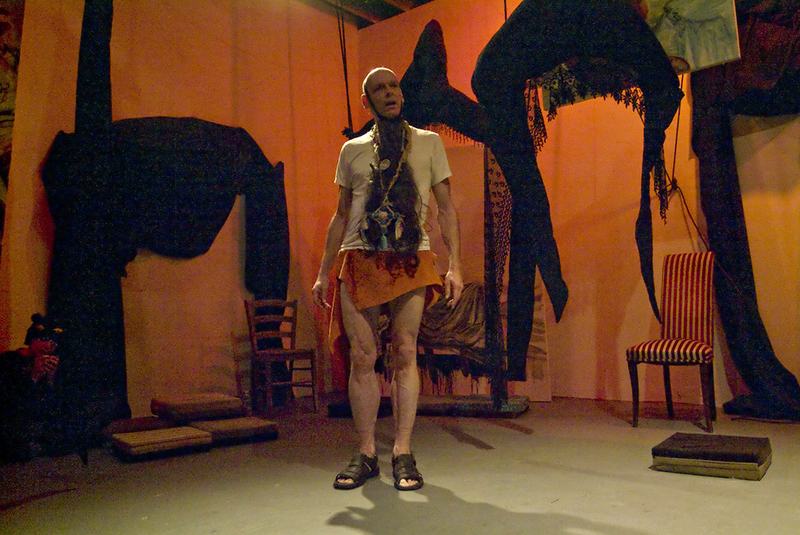 Nasty, poetic, and surprisingly funny, Bad Thing is an amalgamation of theater, installation, performance and painting. Bad Thing circles around the body of American violence, exploring ideas of Western guilt and pleasure in a series of shifting scenarios that are often grotesquely humorous, sometimes tender, always distressingly familiar. 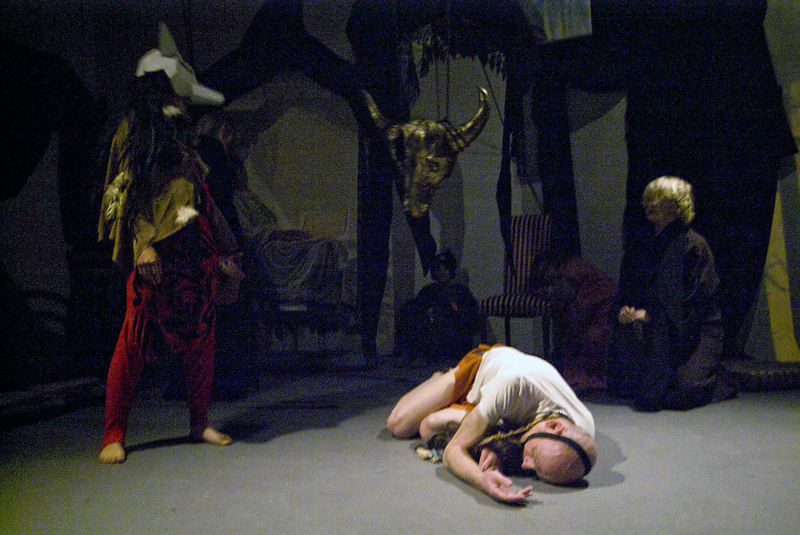 This dark performance features six characters - a hallucinating conquistador, a brutally sadistic monk, a paranoid hidalgo, a grotesquely obsequious servant, and Jesus Christ in the guise of a fox, and six paintings that explore and complicate archetypal themes of dominance, submission, boredom, paranoia, and transcendence. 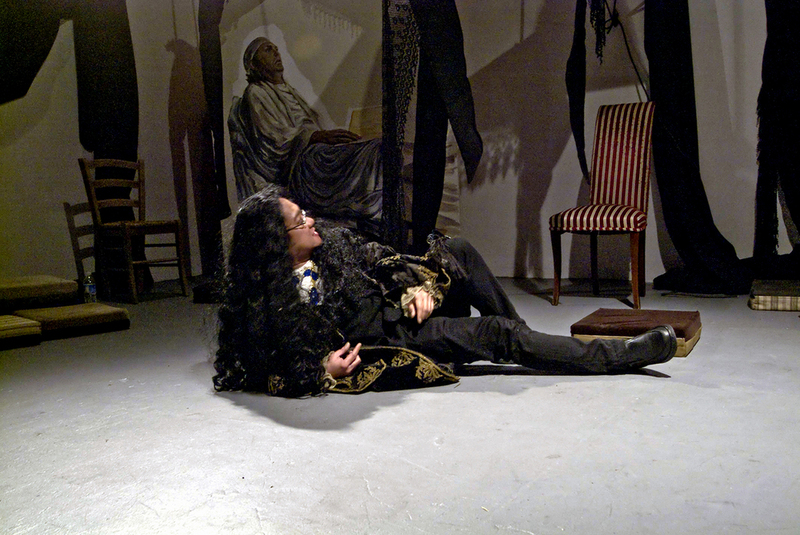 Bad Thing takes inspiration from 17th century Spanish playwright Lope de Vega's story of a repentant sadistic noble La Fianza Satisfecha, the diaries of Spanish conquistador-turned-healer Cabeza de Vaca, and Eduardo Galeano's classic Open Veins of Latin America. The Bad Thing would come in their huts and take hold of anyone he wanted and with a flint as broad as a hand he would cut that person's flank and take out the entrails. He would cut off a little piece and toss it into the fire and then put his hand over the wound and it would just snap (snaps his fingers) heal right up. He would come when they were dancing, as a man, or as a woman. If he wanted to, he'd throw a hut up in the air and hold it there, suspended. I borrowed a small chain from my master and turned into a city of gold. In my golden city, everyone knew me. When they seen me they said, "Don't look. His eyes will tell your sins." They said, watch out for him, he's a tricky one.